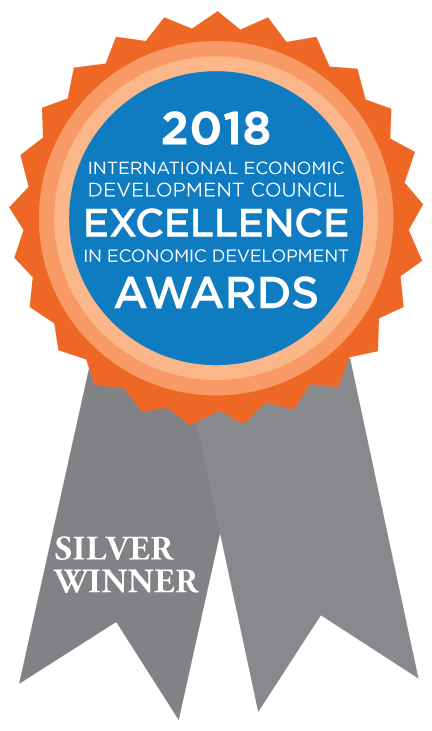 During its 2018 annual conference in Atlanta, GA in October, the International Economic Development Council (IEDC) recognized the success of Albany’s downtown residential development strategy, presenting the Silver Excellence in Economic Development award. The City began the Downtown Residential Development Initiative in 2002 with the purpose of increasing mixed-use development and adding residential units in its downtown. This was a strategic recommendation of the City’s economic development strategy — Capitalize Albany — first released in 1996. The strategy identified downtown diversification as a critical element of the City’s overall economic revitalization. Since strategy implementation began, more than $85 million has been invested into downtown residential. While investment continues to produce 100 – 200 new apartment units each year, the Downtown Residential Initiative has yielded exciting results. To date, \more than 500,000 sq. ft. of obsolete commercial office space has been converted. As of 2018 the number of new downtown apartment units completed and the hundreds currently under construction and in the pipeline combined total more than 1,000 units. It signals an ongoing shift and momentum that’s supported by the Downtown Albany Residential Initiative and the strategic economic development plan for downtown — Impact Downtown Albany.